Dealing with repairs can be one of the most stressful parts of selling your home. The questions are endless: should you replace your aging roof, or sell your home “as is” for a lower price? Do you need to invest in fresh paint and new carpet to get an offer? Will you really make a return by remodeling the bathroom, or just end up losing both time and money? Our goal at Opendoor is to simplify the home selling process, so naturally, we wanted to simplify how repairs work when you sell your home to us. When we make an offer on your home, it includes a free, no-obligation assessment to find out if your home needs any repairs. If it does, you choose how you want to handle repairs: you can make them yourself or have us do the work so you can focus on moving to your next chapter. We’ll walk you through how our home condition assessment and repairs process works and explain how it compares to selling the traditional way. When you sell your home the old-fashioned way, you’ll usually do two rounds of repairs. The first round happens before you even put your home on the market—you’ll invest in repairs to get your home “show ready” for open houses and showings. This typically involves fixing visible defects that might deter a buyer from making an offer. Seemingly small issues like chipped paint, carpet stains and sticky doors leave a bad impression on potential buyers who see them as a sign of bigger defects with the house. Some home sellers even opt to go beyond cosmetic fix-ups and get a home inspection before listing. This allows them to make any needed repairs in advance so they won’t have to negotiate with the buyer later. The second round of repairs happens after you’re in contract with a buyer. Your buyer will usually ask for your home to be inspected for any defects before closing the sale, and most lived-in homes will have some needed work from normal wear and tear. Refuse to do the repairs. If you refuse the repairs, most contracts will allow your buyer to walk away from the sale and get his entire earnest money deposit back. In general, it’s not a good option for sellers to refuse repairs because it means they’ll have wasted time and need to put their home back on the market. Buyers are often suspicious of homes that go back on the market in a short period, and it’s likely any new buyer will find the same repair issues in their inspection. Negotiating repair requests following the buyer’s inspection can be one of the most stressful parts of selling your home, and is a common cause of a home sale falling through. Opendoor has purchased and resold thousands of homes, and through this process, we’ve learned about the types of repairs that are important to buyers in our markets. Our philosophy is to ask for the repairs we know the next reasonable buyer of the home will ask for. This means we request repairs for anything that is broken, inoperable, or that can impact the safety, structure, or functionality of the house. Learn more on our repairs page what the most common repair items are found by our estimators. 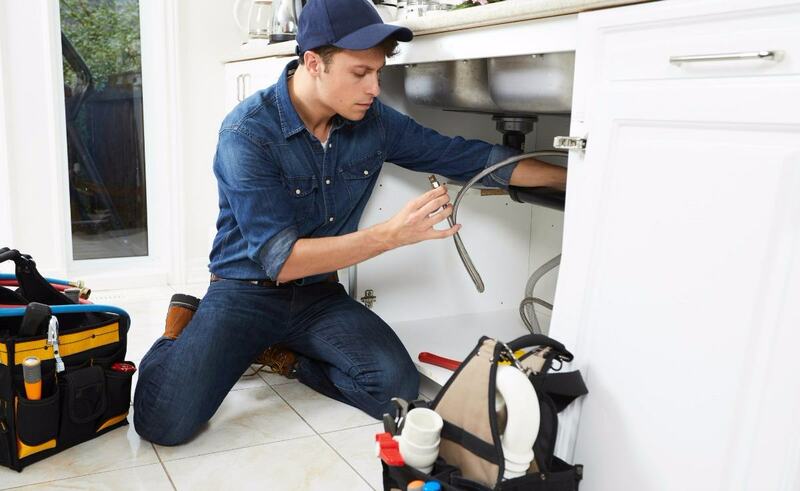 For example, our most common repair requests relate to foundation, flooring, roofing, plumbing, and HVAC systems. What we don’t ask for are repairs that are considered upgrades. For example, we’d ask for a repair to replace a cracked kitchen countertop. We would not ask for a repair to replace a Formica kitchen countertop with granite because that’s considered an upgrade. Unlike a flipper who makes money by buying homes “as is” and renovating heavily to mark up the home price, we make money by charging a service fee and only ask for the repairs the next reasonable buyer would. And because the real estate market is always changing, we frequently take a look at the homes we sell to see if buyers have stopped asking for a certain repair. If so, we stop asking for it as well. Our home condition assessment and repair process is similar to a traditional sale, except for a few tweaks we’ve made to simplify the process. When you sell to Opendoor, you only have to deal with repairs once. We schedule a free home condition assessment at your convenience and share the detailed results with you. If there are any needed repairs, you have options. You can choose to skip the work and have us handle the repairs after you move out. We’ll just ask for a credit to cover the costs, which are often lower because we can pass wholesale savings onto you. Alternatively, you can choose to do the repairs yourself and send us photos and documentation after they are complete. You only have to deal with repairs once. When you sell your home to Opendoor, you get to skip the hassle of doing the cosmetic repairs you’d need to get your home show ready for listing. That means no need to spend time and money worrying about the fresh paint, new carpet, and curb appeal work you’d normally invest in without the guarantee of an offer. You control how repair requests are handled. Following the home condition assessment, we send you a report detailing each needed repair and its cost. You decide if you want to do the repairs yourself or give us a credit to do them after the sale. Many people prefer to have us do the repairs because it means no dusty boots, no hassle of finding contractors and no managing timelines and missing work. In fact, our repair credit may even cost you less than if you did the repairs yourself since we pass the wholesale discounts we negotiate with contractors directly to you. However, if you disagree with our price for repairs, you can always choose to do them yourselves. If you disagree with one of our repair asks, you are welcome to hire your own inspector for a second opinion. There’s no risk or obligation with the home condition assessment. If you get your assessment results back and for any reason decide you are not interested covering the repair costs, you are free to cancel the contract at this point and walk away without any penalty, costs, or obligation. At Opendoor, our goal is to take the stress out of home selling, so we’ve streamlined our repair process to be simple, transparent, and to put you in control. → Other frequently asked questions about Opendoor?